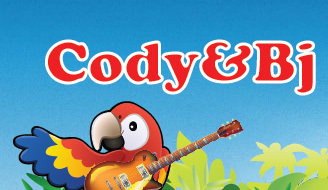 Booking a Kids RocK Duo means you get Cody & Bj’s original music and activities that keep kids rocking and moving! Each Kids RocKer is hand selected by Cody & Bj, as they go through; auditions, rehearsals and training. Each Kids RocKer is personally shown how to bring an exciting and enjoyable interactive experience to your school, summer camp or private party. Just like Cody & Bj, our Kids RocK Duo bring a high fidelity sound system and they wear wireless mics to allow for full freedom of movement. They also bring various instruments for kids to “play in the band”. 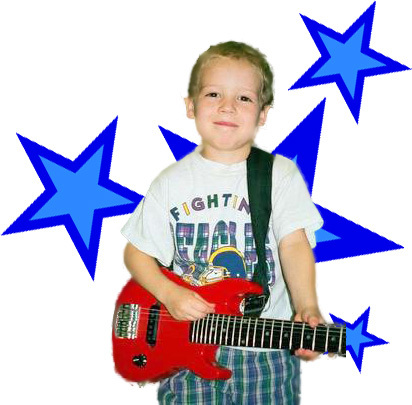 There’s LOTS of interactive, musical fun, so hurry and book your Kids RocK Show today before spaces fill up!! “BEACH JAM!” – A beach party with dancing, singing, limbo and more! “ANIMAL FRIENDS!” – Songs and activities about animals and making friends! “KIDS ROCK JAM!” – Songs and activities for school agers with some ‘more advanced’ activities like; hula-hoop, limbo, freeze dance, and much more! 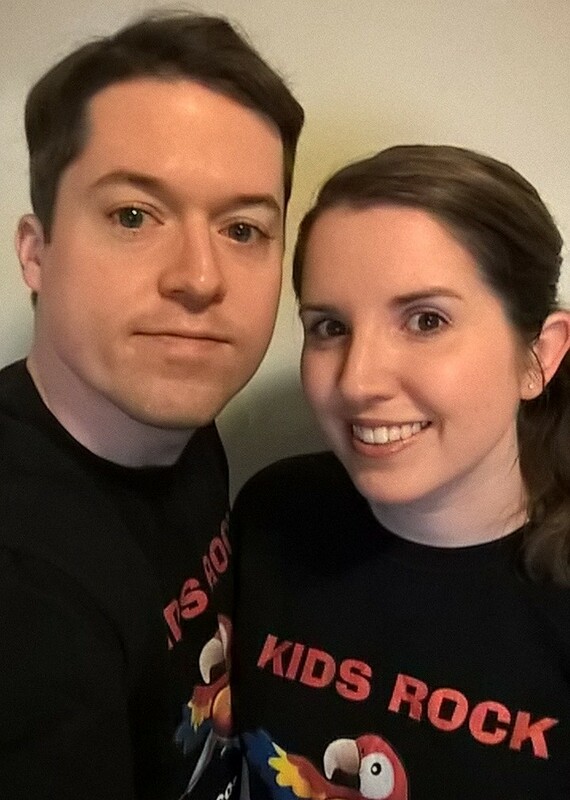 Rachael and Jared, like Cody & Bj, are a married couple that enjoys performing together! Rachael has been performing Cody & Bj’s shows since 2013, Jared (her husband), joined our team in May 2015. They both are graduates of Virginia Tech and have lived in DC/VA/MD area since 2010. When not performing Kids RocK Duo Shows, they are both VERY busy. **Rachael Murray is a performer, director, writer, and teaching artist. She has loved being a Kids Rock performer during the summers of 2013-2017. Her favorite part of any show is when the kids in the audience are having a great time! She has previously taught creative drama, improvisation, musical theatre and acting techniques for: Harmonia School, Adventure Theatre-MTC, Capital Repertory Theatre’s STAR (Summer Theatre At the Rep), EMITT (Exploring Multiple Intelligence Through Theatre), and ImprovAffect. Rachael has assisted in the writing and direction of two original plays (The Stroke of a Brush, the Push of a Button: Atrology, and Lost and Found: Journeys, Milestones, Discoveries) for Capital Repertory Theatre’s STAR program. DC- area theatre credits include; R.U.R. (Director/Producer, Naked Theatre Company), [title of show] (Director, Annapolis Summer Garden Theatre-upcoming! ), Arsenic and Old Lace (Director, VpStart Crow Productions), Cyanocitta/Collider (Jay-Jay/Prius, Source Festival), Six Degrees of Separation (Assistant Director, VpStart Crow Productions), The Moustrap (Mollie Ralston, VpStart Crow Productions), and A Prom to Die For! (Tiffany, Mystery Dinner Playhouse). 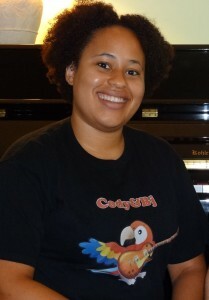 She is a Virginia Tech graduate with a Bachelor’s of Arts in English and Theatre Arts. She is also a founding company member of Naked Theatre Company. **Jared joined The Kennedy Center Production of ‘Shear Madness’ in 2013 and has performed over 800 shows! Tiara Hairston is so happy to have worked with Kid’s Rock. She grew up in Chesterfield , VA, and she graduated from Virginia Tech in 2012 with a B.A. in Theater Arts and Cinema, a B.A in Communication, and a minor in Spanish. She has been in Shakespeare productions, musicals, and worked both behind and in front of the camera. She moved to the DMV in November looking to jump start her career, she has been a teaching artist for different companies, including Lola’s Labs and Harmonia School of Music and Art, as well as an actor for the National Children’s Museum. She loves the arts, and it is such a reward to be able to share her love and passion for it with others, and pass it on to future generations! Kids RocKer but she has also, on occasion, been known to show up at a Cody & Bj Show! Michi is an amazing performer and really enjoys working with children. Recently she has retired from her Kids RocKing duties but we’re always excited when Michi can join our team! !